I received this Birdy from Hot Key Books in exchange for an honest review. Okay, so this book is one of those unsuspecting stories where you start and think, ‘okay, yeah, I could get into this!’ and as you go things become more and more unsettling and you curse the fact that it’s slow paced because what is even happening?! The story is written by Frances (aka Birdy) after the events that take place. She’s a bit of a loner, who’s kind of innocent and dependent on other people. Basically, the complete opposite of Alberta, who was previous homeschooled and is completely unaware of secondary school life and all that that implies. She is has a mysterious past that makes her the front of some nasty bullying. Both of these characters were difficult to read about; Birdy because she starts out so weak and Bert because she’s so clueless! They’re both naive in different ways and I wish we’d been given Bert’s side of the story because that would’ve made a really interesting counter to Birdy’s obsessive nature. I don’t want to spoil the plot too much but it definitely through some curve balls and left me so confused and in a state of ‘what did I just read?’ in the best possible way. Jess Vallance crafted this story for carefully to make you believe certain things and feel sympathetic at all the right moments, until BAM everything is not what it seems and things spiral out of control. In some cases it felt like something Jacqueline Wilson would write for slightly older readers, because although there was a high emphasis on bullying and family issues that Wilson usually tries to tackle in her middle grade works just with some added murder and revenge plot lines. 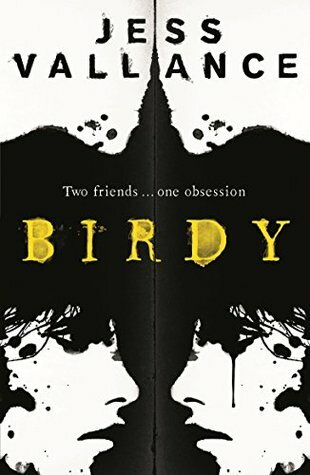 Birdy is haunting and a story that will stick with you for a long time after reading – I’m still hung up on it! – and although the writing craft was amazing I didn’t enjoy the story all that much and thought it was slow paced right up until the very end where Birdy’s like ‘so there you have it. Here’s what happened next condensed into five pages.’ I definitely wanted more details on the aftermath! My only other issue was the language. The student’s vocabulary really didn’t seem contemporary enough. For the first fifty pages I was convinced that I was reading something set in the 50s because Alberta’s language especially was so quaint. The story is set in 2013 and I was a Year 11 then and I can assure you than the Year 10s swore a lot more and no one said ‘golly’ or ‘oh, isn’t it dreadful?’. I guess it just lacked that bit of authenticity. Overall, I gave Birdy 2.5 stars it’s not my favourite genre, but if it sounds like something you might enjoy then I’d definitely recommend it! Just be prepared to feel creeped out at the end! new to secondary school life.